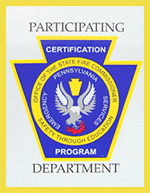 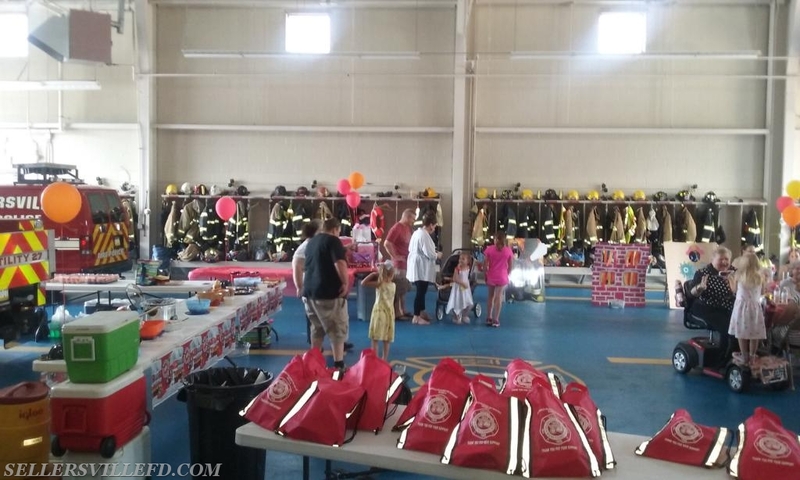 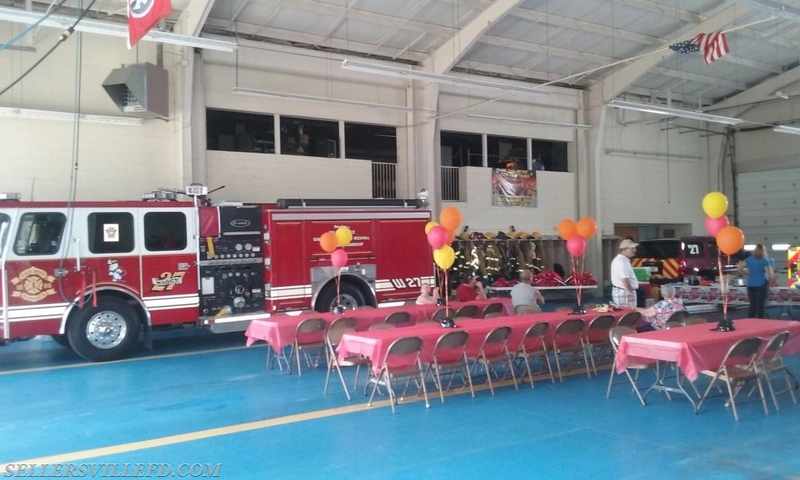 The Sellersville Fire Department hosted a twins birthday party over the weekend in the apparatus room. 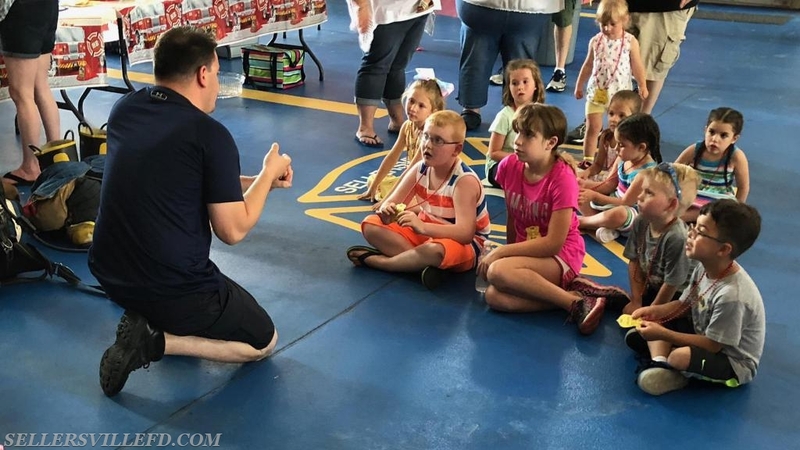 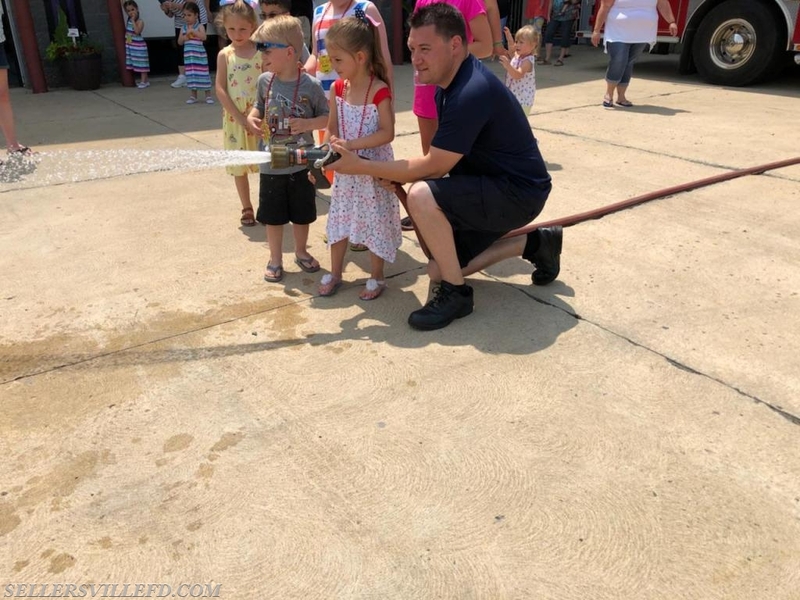 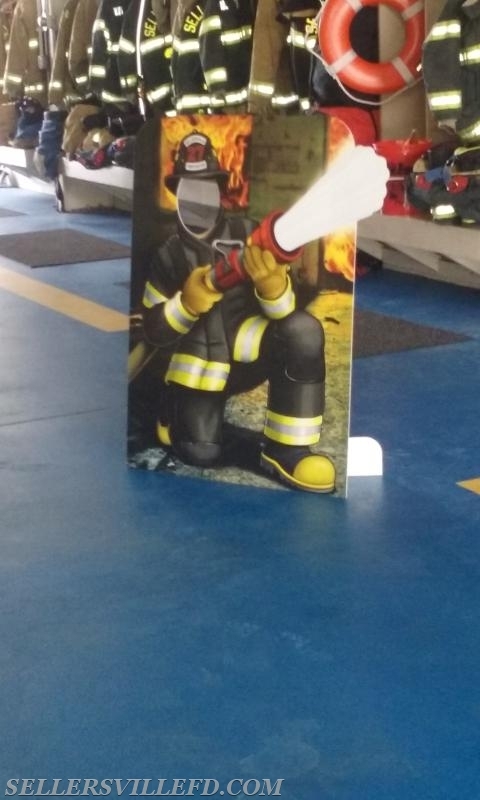 This is a great way to teach the children about fire safety, all while having fun celebrating their birthday with their family and friends at the firehouse! 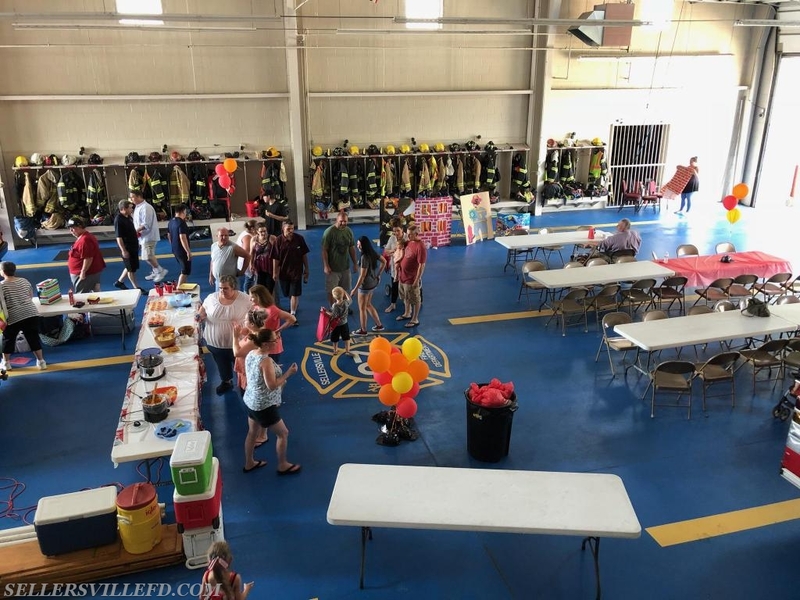 SFD provides the tables and chairs as well as firefighters to show the children the trucks, our firefighting gear, and they are taught how to use the fire hose off of the fire engine.